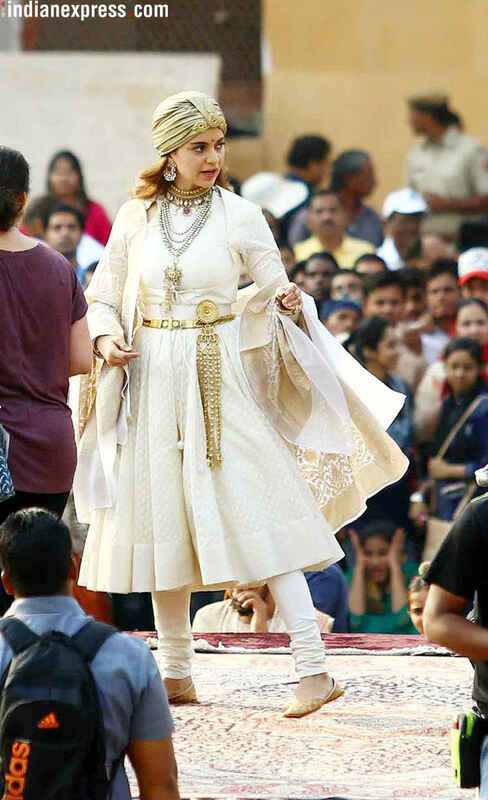 Ankita Lokhande shared her look from the Kangana Ranaut-starrer Manikarnika. The Pavitra Rishta actor is making her Bollywood debut with the biopic where she plays Jhalkaribai. Directed by Vijayendra Prasad, the film is scheduled to release on April 27, 2018. Ankita Lokhande shared her look from Manikarnika. Actor Ankita Lokhande of Pavitra Rishta fame is all set to make her Bollywood debut in the Kangana Ranaut-starrer, Manikarnika. In the film, Kangana plays the title role of Rani Laxmi Bai and Ankita will be seen playing Jhalkaribai. Ankita shared an image from the set of the film on her Twitter with the caption, “Jhalkaribai definitely knows the way to even a modern man’s heart ! #Manikarnika #jhalkaribai #ItsBlurForAReason”. This is Ankita’s first outing in a Bollywood film and she is busy shooting for the same. Ankita shared her look from the film in a blurry image and mentioned that it was blurred for a reason. After starring in Pavitra Rishta for over five years, Ankita participated in various reality shows. Earlier, Kangana’s look from the film was revealed and she surely looked like a warrior princess. In a white and gold outfit, Kangana was truly acing the look in the pictures from sets of the film in Jaipur. Kangana was injured while shooting a fight sequence but carried her scar like a fierce warrior. Manikarnika is a biopic on the life of Rani Laxmibai of Jhansi. Vijayendra Prasad, who is writing and directing this biopic has earlier written blockbuster films like Baahubali and Bajrangi Bhaijaan. He had earlier mentioned that the war sequences will be the biggest highlight of the film. Along with Kangana Ranaut and Ankita Lokhande, the film also stars actors Bajirao Mastani actor Vaibhav Tatwawaad and Nihaar Pandya. Manikarnika is scheduled to release on April 27, 2018.